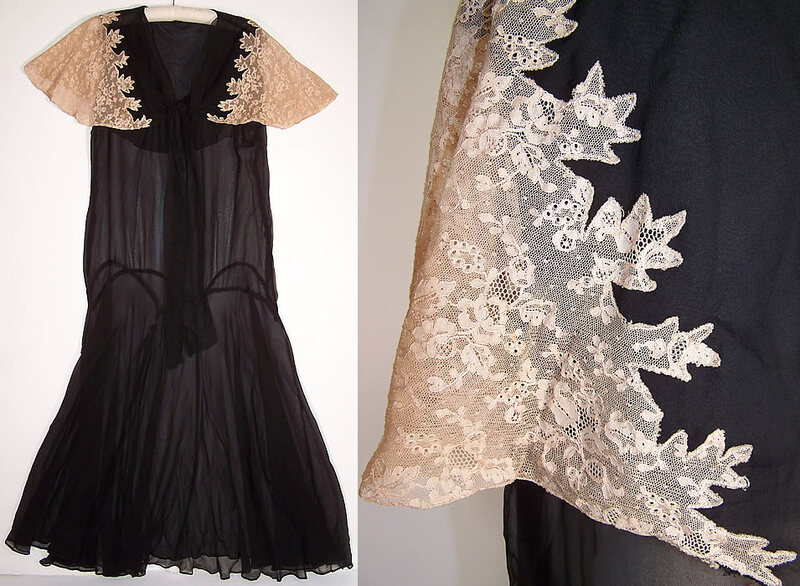 This vintage black silk chiffon ecru lace shawl collar cape drop waist dress dates from the 1920s. It is made of a black sheer silk chiffon fabric, with an ecru lace trim applique collar. This stunning dress has a loose fitting drop waist style, with an attached large shawl collar cape, V tie sash front neckline and long full skirt. 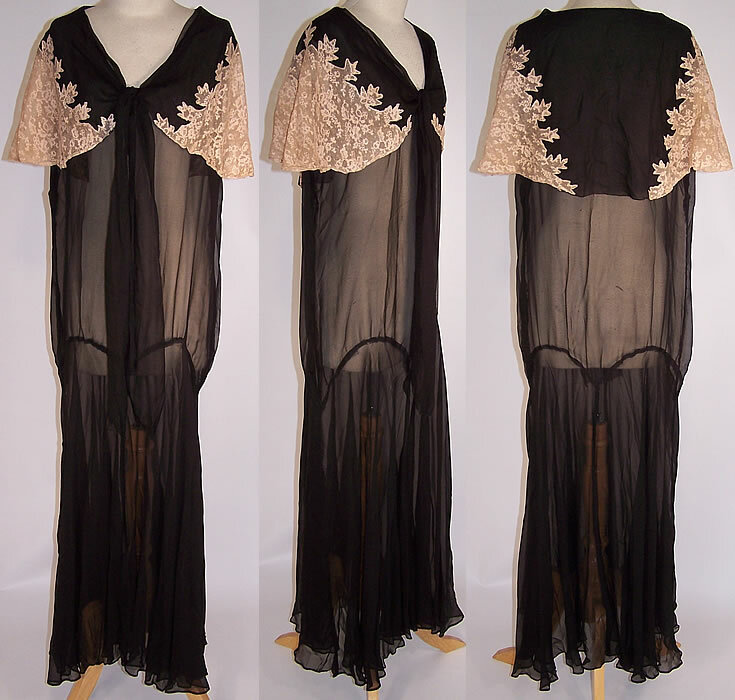 It is sheer, unlined and would need a slip underneath. The dress measures 57 inches long, with 40 inch hips, a 36 inch waist and 40 inch bust. There is a tiny pin hole on the shoulder collar, under the arm and several tiny frayed holes along the bottom skirt hemline which could be shortened. My guess is this is from the later 1920's rather than earlier based on the neckline.